With our years of experience in the hearth products business we know that its critical for both proper operation and safety that you maintain your fireplace, decorative gas stove, or gas log set. We offer a 37 point annual maintenance program that is design to ensure the continued reliable and safe operation of your system. 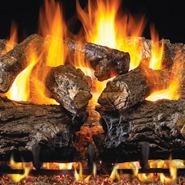 We do a complete examination and cleaning of your fireplace, gas stove, or gas log set. 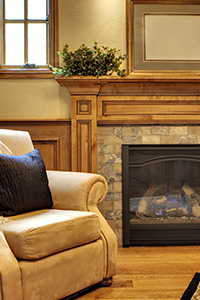 All major gas appliances, including gas fireplaces, should be serviced annually as recommended by all major gas fireplace product manufacturers. Gas fireplaces are gas-fueled appliances and, as such, can be dangerous- and even hazardous- if not handled properly and if not serviced regularly by a qualified technician. Carbon Monoxide (CO) is an ordorless, poisonous gas formed by a gas furnace or gas fireplace that's not operating properly. Symptoms of carbon monoxide poisoning include headaches, dizziness, drowsiness, nausea and vomiting. If you suspect carbon monoxide poisoning, or if your carbon monoxide detector sounds and alarm, immediately evacuate the home and call 911from another location. If you do notice a suspectodor coming from your gas fireplace, call a qualified service and repair technician promptly.